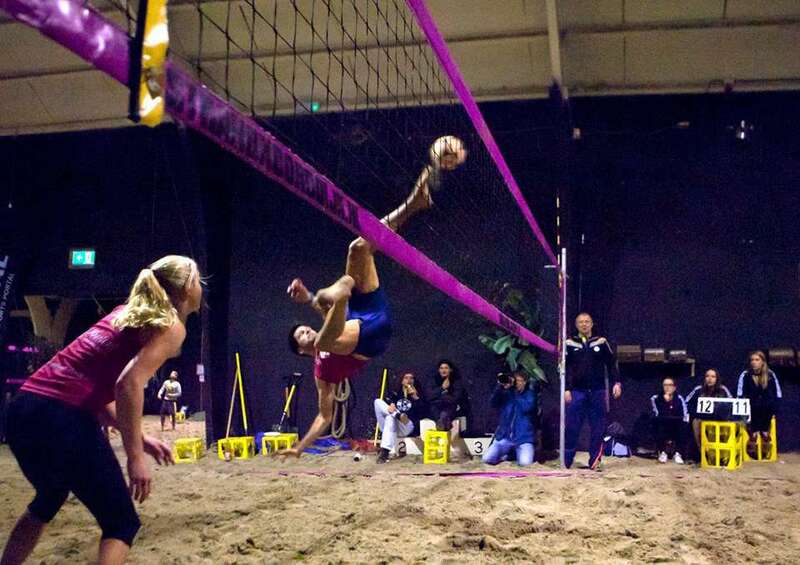 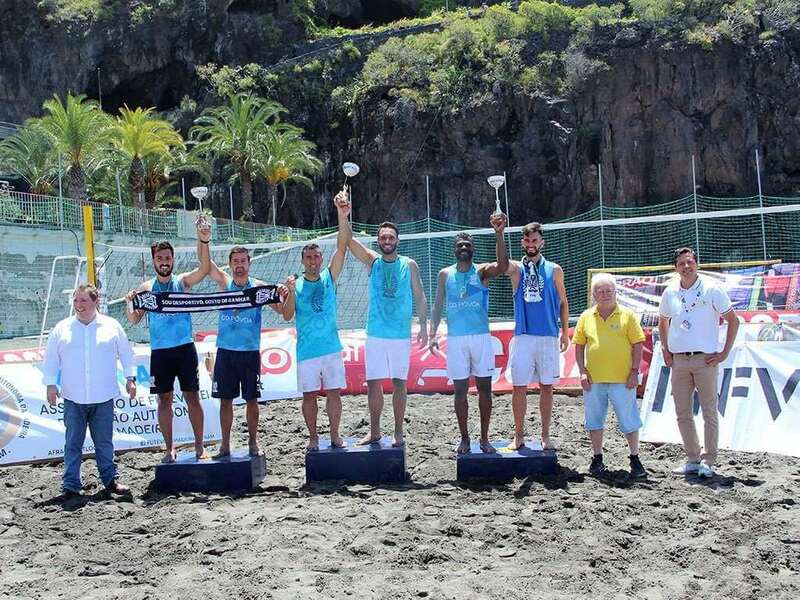 A unique sport in itself, footvolley is a blend of beach volleyball and soccer.  The sport was created by Octavio de Moraes in the year 1965 in Brazil. 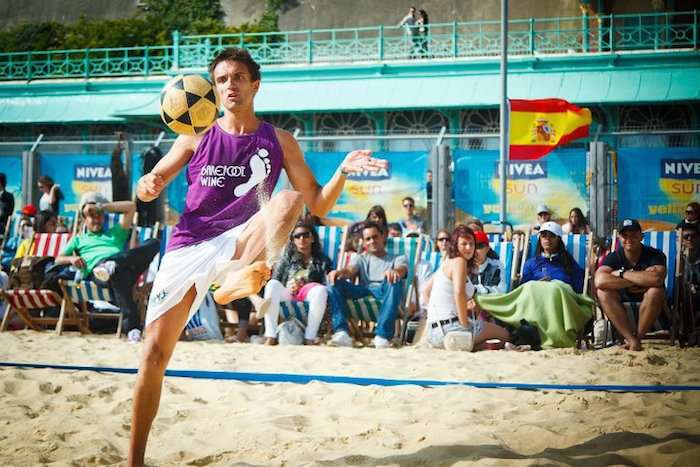 The field rules of the game are taken from beach volleyball whereas the ball rules are adopted from association football. 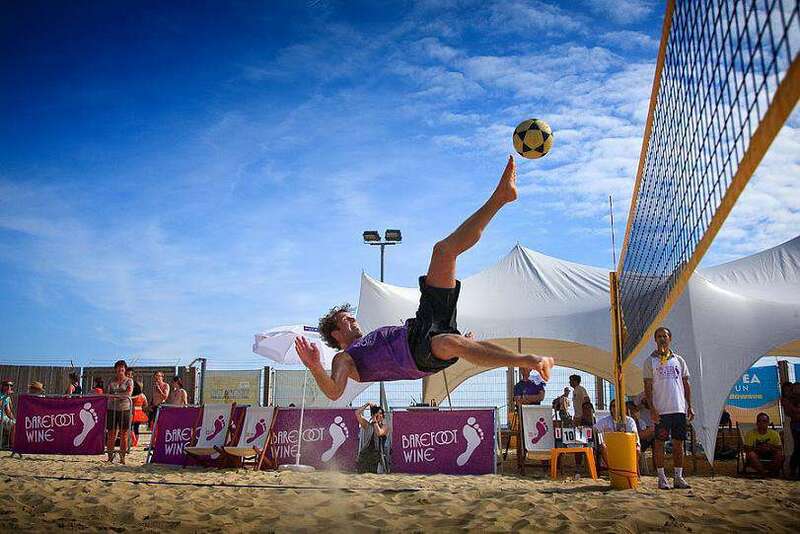 Footvolley is almost like beach volleyball except the players are not allowed to use their hands, and volleyball is used instead of football. 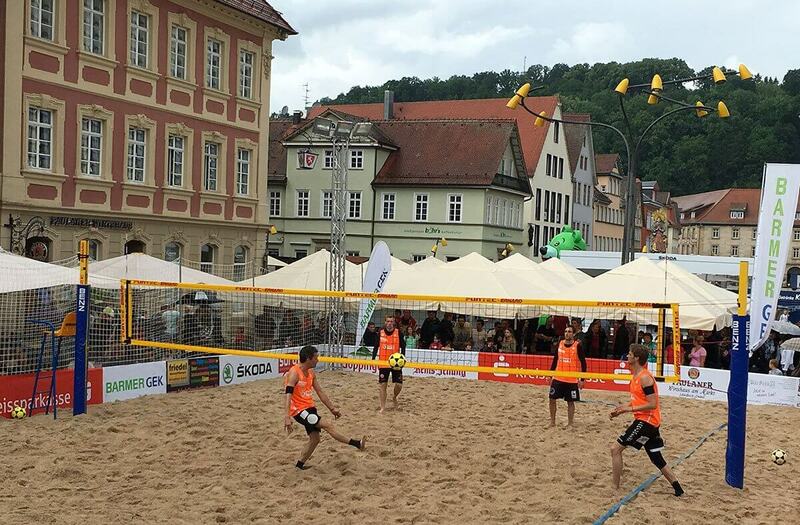 The purpose is to play the ball over the net, to the opponent’s side without making the ball touch the ground on one's side of the court. 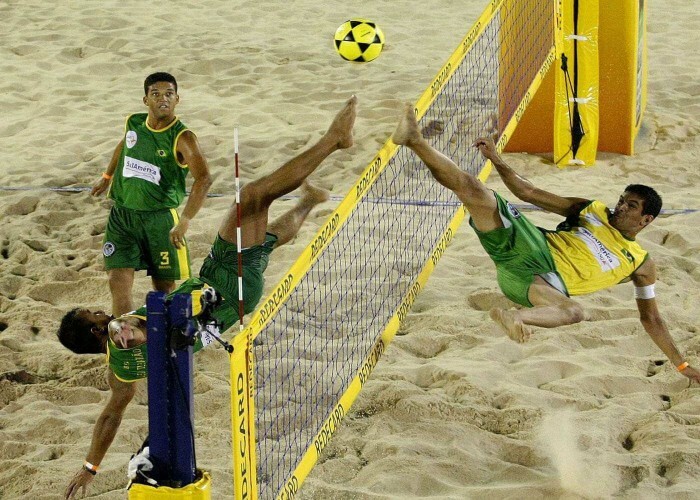 It is played with two players on each side and begins when a player serves the ball to their opponent. 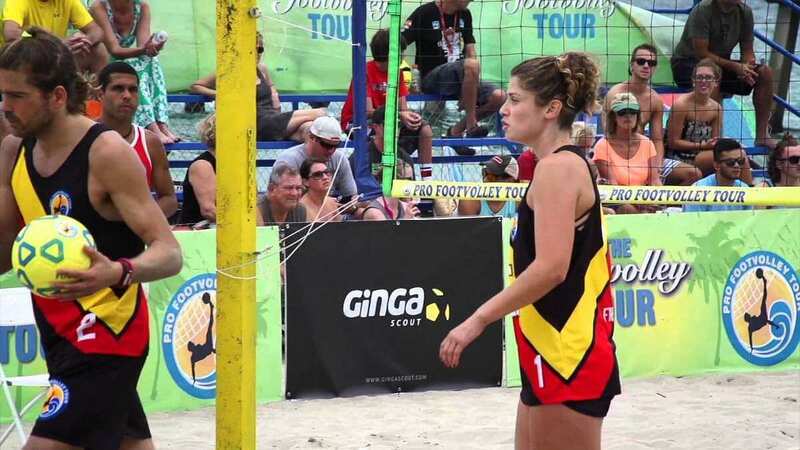 On the receiving end, the player or players can receive the ball using either their head, shoulders, chest, thigs or feet with the chest being the preferred option as it has a wider contact area; it is known as the first touch after the service. There are various methods of scoring in the game; the most practiced one being the best of three version where the winning side has to win two sets out of the three.